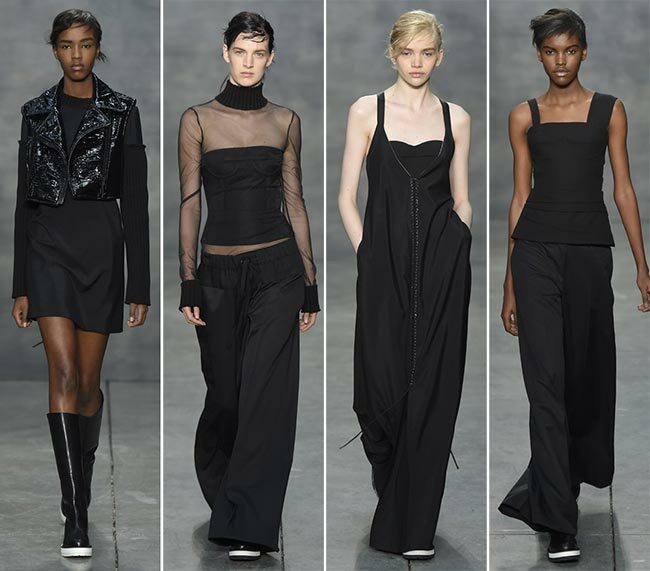 Modern and timeless fashion is in simplicity and Vera Wang knows this pretty well. While her bridal gowns stand out with their innovative designs, intricate detailing and lots of lush lace and appliqués used, the newly launched Vera Wang fall/winter 2015-2016 collection celebrates minimalism through a restricted color palette of versatile blacks and whites and structured modern shapes. One can’t stop surprising at how diverse and amazing a 42-piece fashion line utilizing only two monochrome colors can be! It’s meant for the cosmopolitan women, who are looking for fresh designs to take a rest from the season’s Seventies and Sixties styles. 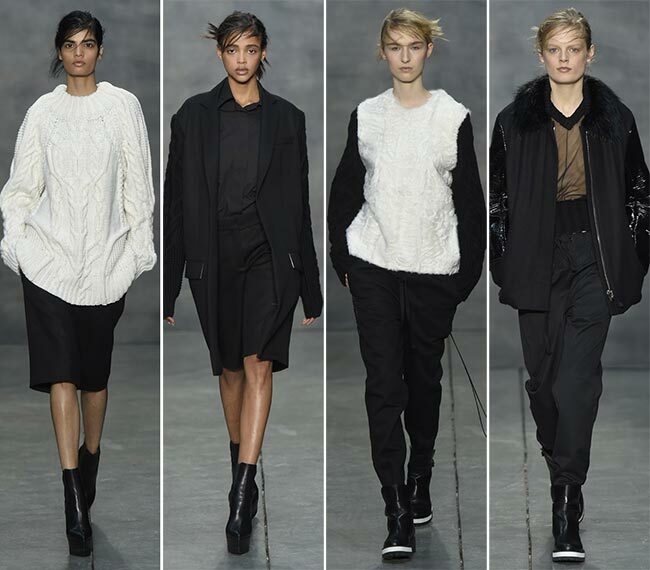 Monochrome is the entire Vera Wang fall/winter 2015-2016 collection, which focuses on the creative cuts, shapes, textures and layering for making a statement. There is a subtle androgynous flair present in the majority of looks expressed through the use of mainly pants styles, which are relaxed, baggy and oversized, coming matched with minimalist shirting. The opening look brings an innovative form of the classic tuxedo jacket, which is cropped showing off the midriff of the model and features oversized sleeves and shoulders. In the following look, the same classic jacket features an oversized and elongated form with unexpected cut-outs on the upper parts of the long-sleeves. 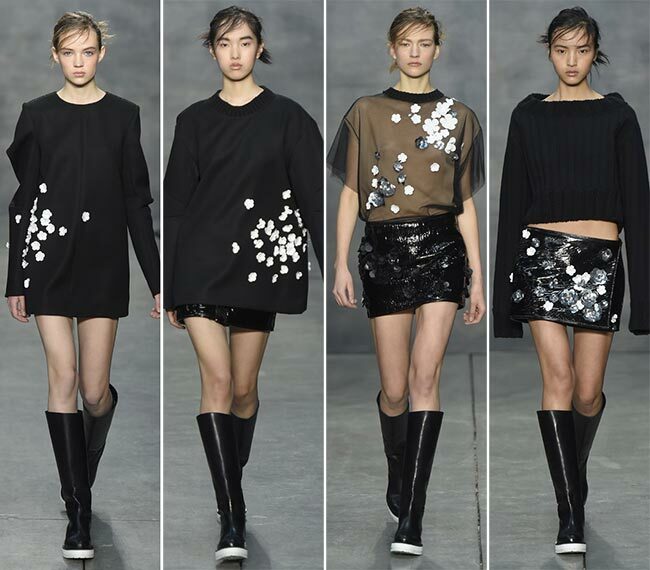 This tendency has been spotted at different other collections unveiled during the latest New York Fashion Week as well, like Thakoon, shaping a new creative trend for fall 2015. Jumpsuits at Vera Wang are equally oversized and mannish coming either in white or black and looking so simplistic. You can go for statement-making accessories to finish off these looks or keep them as toned-down as they are. Knee-length culottes are great alternatives to those baggy jumpsuits and pants, which are matched with oversized knitted sweaters here. And, of course, there are also skirts and dresses for those, who are more into feminine looks. The little black dress with one of the straps being thicker than the other one is to die for, while the crisp white A-line dress with cocoon sleeves is the best thing you can invest in to radiate modern allure and chic at different occasions. Lace, 3D tiny floral appliqués and transparency used come to inject a touch of femininity to the Vera Wang fall/winter 2015-2016 collection, this way also targeting a wider group of fashionistas, as after all not everyone is into the masculine fashion and shirt dressing Wang offers for fall. She has applied the floral details even on the black leather miniskirt, which comes matched with a cropped oversized knitted sweater for the interesting textural contrast. 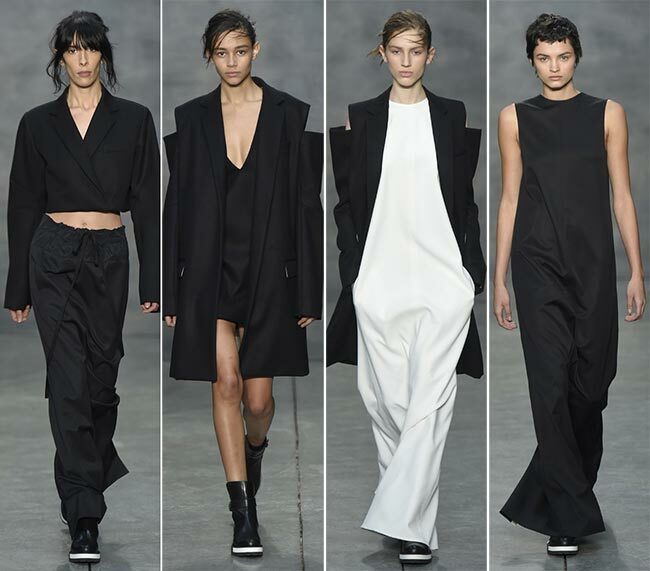 The eveningwear was as minimalist and solemn as the entire Vera Wang fall/winter 2015-2016 collection. The models walked down the catwalk wearing little black velvet cocktail dresses and maxi options featuring the same fabric and color. The closing floor-length velvet dress featured the top part of the classic black masculine pants that was cropped and attached to the front part of the dress with the pockets preserved. Like the overall mood of the clothing pieces, the looks were kept natural and simple with the barely there makeup look, the hair pulled back into relaxed updos and absolutely no accessories but black boots completing the outfits. 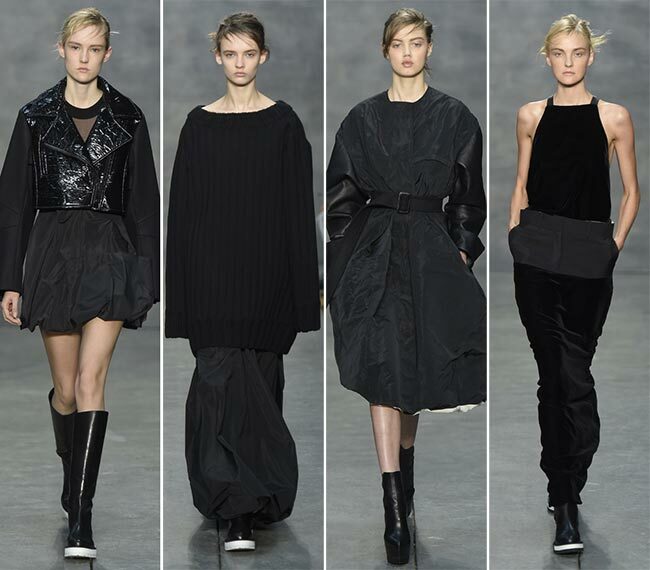 Wang has undoubtedly created a versatile collection that everyone can wear to everywhere!